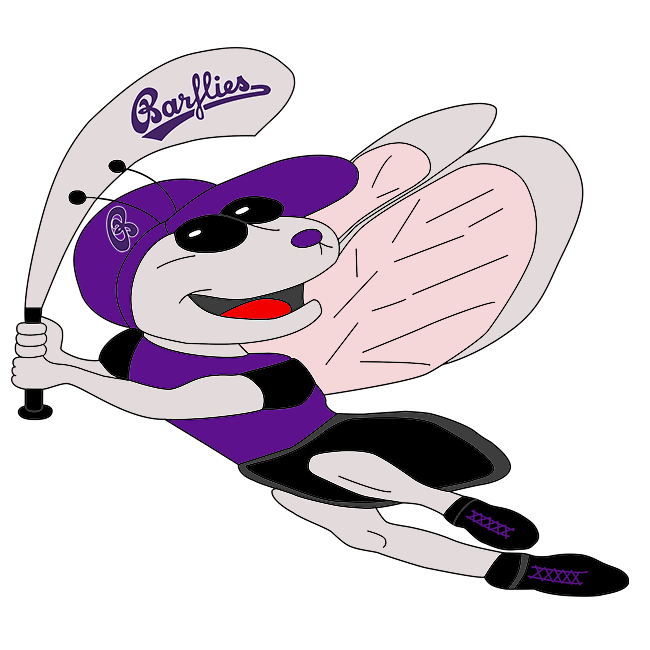 Bochum Barflies II vs Ennepetal Raccoons II – Bochum Barflies e.V. Scorekeepers were kept busy today during a high-scoring contest between Ennepetal Racoons II and BarLiz II where BarLiz II lost 17-6. The BarLiz II struggled to put runs on the board and had a tough time defensively containing Ennepetal Racoons, giving up 17 runs. Ennepetal Racoons got on the board in the first inning when Deitermann singled on a 3-2 count, scoring two runs. In the bottom of the first inning, BarLiz II tied things up at two when Hilger induced Rick Schmidt to hit into a fielder’s choice, but one run scored. Ennepetal Racoons pulled away for good with ten runs in the second inning. In the second Lu. Dzierson was struck by a pitch, driving in a run, Krempel was hit by a pitch, driving in a run, Le. Dzierson singled on the first pitch of the at bat, scoring two runs, Shtykher doubled on the first pitch of the at bat, scoring two runs, an error scored one run for Ennepetal Racoons, Jahnta singled on the first pitch of the at bat, scoring one run, and Hilger singled on the first pitch of the at bat, scoring two runs. BarLiz II notched four runs in the fourth inning. The rally was led by singles by Köster, Engel, and M Warnath. Hilger got the win for Ennepetal Racoons. He lasted four innings, allowing eight hits and six runs while striking out four. Tolkmitt threw one inning in relief out of the bullpen. Warnath took the loss for BarLiz II. He surrendered 17 runs on 15 hits over five innings, striking out two. BarLiz II collected eight hits on the day. Barroso Mayeta, Engel, and Schmidt all collected multiple hits for BarLiz II. Schmidt, Engel, and Barroso Mayeta each collected two hits to lead BarLiz II. Ennepetal Racoons racked up 15 hits on the day. Hilger, Shtykher, Deitermann, Jakoby, and Dzierson all managed multiple hits for Ennepetal Racoons. Ennepetal Racoons didn’t commit a single error in the field. Hilger had five chances in the field, the most on the team.